Available in sizes S,M,L,XL and XXL a variety of colours including blue, grey, white, orange, navy, green, black, red and yellow. 50% cotton, 50% polyester. Made with up to 5% polyester from recycled plastic. 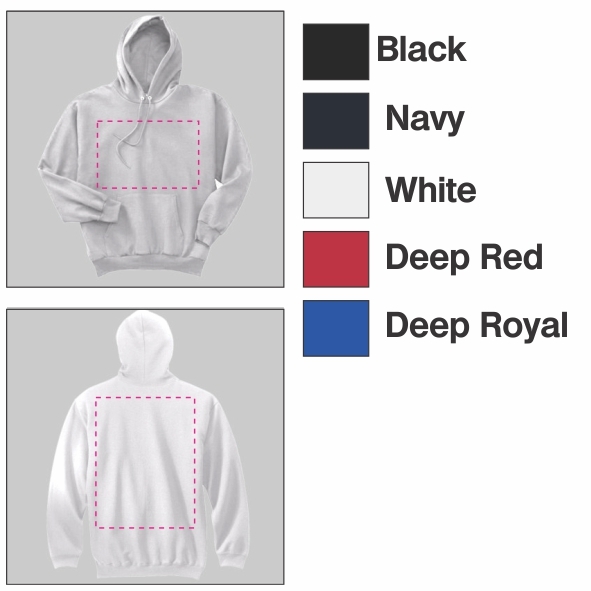 Hoodies are printable in 2 areas: Front and Back. 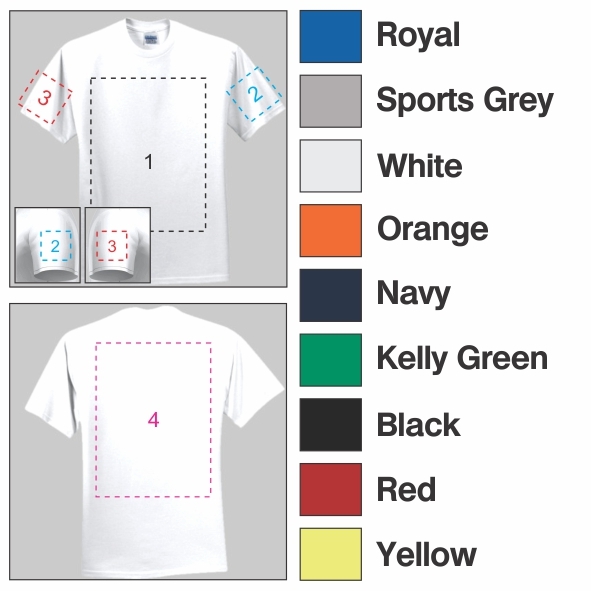 Available in sizes S,M,L,XL and XXL a variety of colours including black, navy, white, red and blue.